Logitech’s new app Touch Mouse is a good option for those who have a Home Theater PC set or simply want o control their computer from a distance. This app is really a good option to turn your iPhone or iPod Touch into a wireless trackpad or keyboard. You can point, click, scroll and type in any application in your Mac or a PC. With this app you will get two-finger scrolling possibility, keyboard with modified keys, on-screen text display while typing etc. 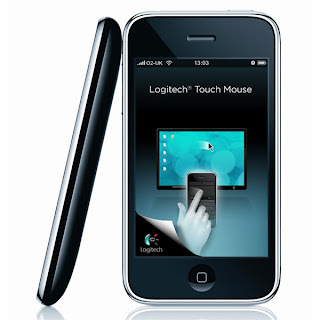 The app will work by means of WI-FI from any place in your house and you won’t need any additional equipment, but you will need to download the Touch Mouse Server software from www.logitech.com/touchmouse and install it on your Mac or PC. Thus your iPhone or iPod will be able to find your computer and communicate with it. Besides your Mac will require OS X 10.4 or higher and PC – Windows XP, Windows Vista or Windows 7. The Touch Mouse can really make you feel comfortable allowing you o control devices from your coach or bed. One more good news is that the app is free to download at the App Stores.